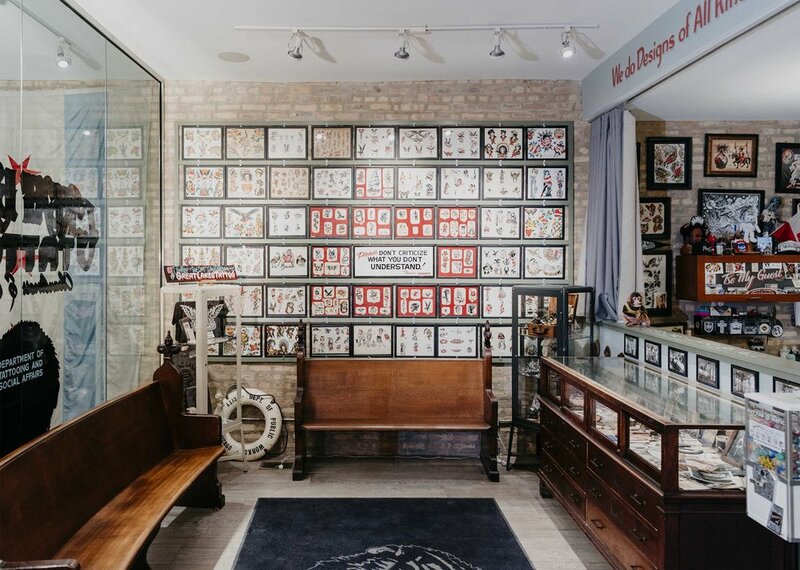 Great Lakes Tattoo, located in Chicago's West Loop, is a destination shop for residents and tourists alike. We do designs of all kinds, including traditional American, Japanese, portraits, black and grey, tribal and more. in 2013, owners Nick and Sarah Colella opened Great Lakes Tattoo in Chicago's West Loop neighborhood. The shop is a one-of-a-kind space with an attitude-free atmosphere that celebrates and honors the traditions of tattooing; past, present and future. 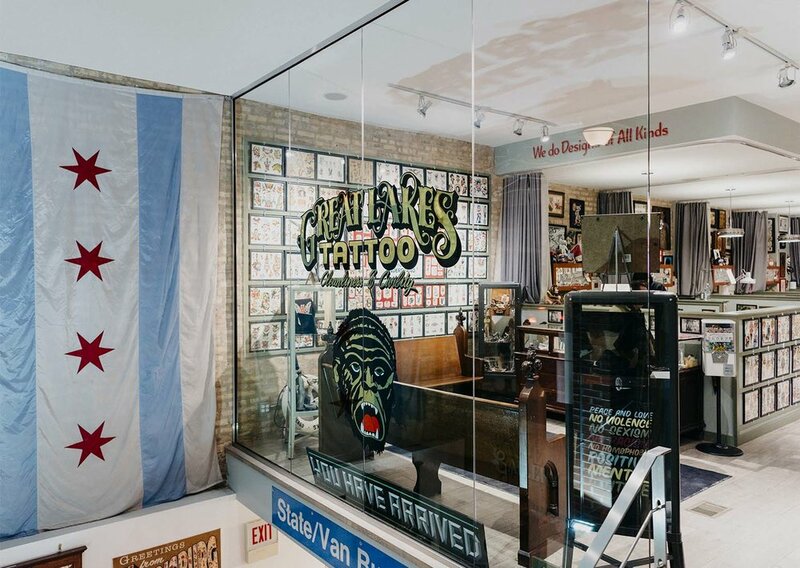 Considered one of the best tattoo shops in Chicago, Great Lakes Tattoo also houses the Great State Gallery, an art and event space that hosts art shows, storytelling nights, live music and more. Great Lakes Tattoo is a destination shop for Chicago residents and tourists alike. The tattooers at GLT do designs of all kinds, including traditional American, Japanese, portraits, black and grey, tribal and more. Tattooers are available for appointments and walk-ins everyday. Check out some of the best tattoos being done in Chicago on the portfolio page.